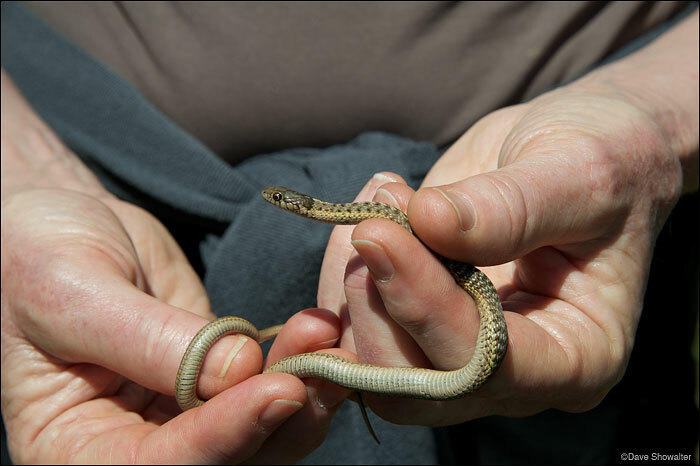 A small garter snake was trapped during the amphibian trapping at the Audubon Rockies bioblitz on June 23, 2012. Soda Lake Wildlife Management Area. Photo © copyright by Dave Showalter.